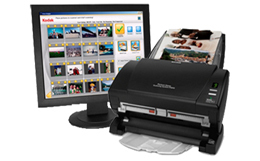 Digitize hundreds of photos in minutes. 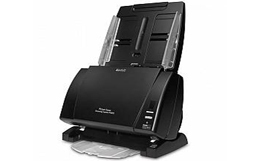 Compact, fast and powerful, the KODAK PS810 Photo Scanning System makes it easy to Digitize your treasured photos, postcards and even old documents so they can be shared by e-mail, displayed, printed, output to digital media and more. Just take the photos exactly the way you receive them--mixed sizes, different paper weights, random orientation--and place them in the fast auto-feeder. The PS810 easily handles photos from (2 x 2.5) up to (8.5 x 34).